The Alabama Legislature usually gets very little done during an election year aside from passing the budgets. However, the legislature may have to address issues pertaining to prison health care. A federal judge has ruled that our prison mental health care system is “horrendously inadequate.” This year the solution will probably be to simply add $30 to 50 million to the prison budget and kick the can down the road to the next quadrennium. President Trump’s first year in office proved to be just as racially divisive as his campaign — but even more consequential. Didn't last week seem to fly by? If you want to receive daily news hits from across the state and nation straight to your inbox each morning, click here to subscribe to the Alabama Policy Institute’s Daily Clips. 1. General fund budget for 2019 has passed the Alabama Senate. Last week, the senate passed a budget for the 2019 General Fund (GF) by a 26-2 vote. If this budget passes, it will be the biggest GF budget in a decade. This budget includes $755 for Medicaid and grants an additional $51 million to the Department of Corrections next year. Check out this run-down of funding increases and reactions from lawmakers in this piece by J. Pepper Bryars with Yellowhammer News. During the debate over the budget on the senate floor, Sen. Bobby Singleton (D-Greensboro) proposed an amendment that would add money to fund a facility that provides vocational training for inmates, similar to the Alabama Therapeutic Education Facility located in Columbiana. The senate approved that amendment 24-6. Another amendment was offered by Sen. Trip Pittman (R-Montrose), chair of the General Fund budget committee, which increased funding to the Alabama Department of Transportation by $4.5 million. The $2 billion budget passed by a vote of 26-2 and will go to the house. School walkouts in the wake of ‘Parkland’ — protected by the First Amendment or not? The national walkouts that students are currently organizing to call for new gun control legislation are commendable examples of “Generation Z” exercising its First Amendment freedoms. Unfortunately, students, teachers and other staff are likely to run up against legal limits around free speech and protest on school grounds. Last month, the state rejoiced with news that Alabama would be the home of a new Toyota-Mazda plant. The plant is expected to bring over 4,000 jobs and billions of dollars in net revenue to the state. With the execution of this deal, known as Project New World, state and local governments will give the two companies around $900 million in tax incentives. A tool used by state and local governments, tax incentives attempt to lure large businesses with the hope that the revenue brought in from that corporation will offset the incentive costs. Often, incentives leverage the taxes paid by small businesses and use them to bring a large, untouchable competitor into the state. Although small, loyal businesses pay the high tax rate year after year, tax incentives comprised of that money can hurt or destroy their business. While there are no small businesses competing with Toyota and Mazda, an increased reliance on tax incentives to bring in major consumable goods retailers can hurt local, small businesses that spend years paying into the system. Access to health insurance in the United States is one of the most hotly debated issues in the national discourse. Prior to the implementation of the Affordable Care Act (ACA), 44 million Americans lacked health insurance, including many low-income nonelderly adults who did not fall within traditionally covered Medicaid eligibility groups, including pregnant women, disabled adults, and low-income children. Since the ACA went into effect in 2013, 11.9 million newly eligible people have gained coverage through Medicaid in states that chose to expand their programs. In addition to producing better health outcomes, Medicaid expansion has resulted in new enrollees having access to quality care without the threat of financial turmoil. Hank Sanders: Senate Sketches #1602: The Bridge Crossing Jubilee is back in full force! The Bridge Crossing Jubilee is back in full force. This is the 25th Jubilee. Twenty-five years is a long time. When this Sketches is published, Jubilee will be about a week away. The Jubilee starts March 1, 2018. But this Jubilee is different in important ways. The Jubilee draws tens of thousands each year. One year it drew more than 100,000. It is the largest annual civil rights gathering in the world, and it all happens right here in Selma, Alabama, a city of 20,000. However, people come from across America and faraway places such as Africa, Asia, Europe, South America, the Caribbean and other countries in North America. The 2018 Alabama Legislative Session will be short and sweet. It is an election year. Historically, during the last year of a quadrennium, the legislature convenes early and passes the budgets, then members go home and campaign for reelection to another term. Our forefathers, who wrote our 1901 Constitution, must have been thinking the same thing because they designed for the fourth year of the quadrennium legislative session to start and end early. It is set by law to begin in early January, whereas it begins in February in most years. This year’s session began January 9 and can run through April 23. The consensus is that they will adjourn sine die earlier than the April deadline. Most observers believe that they will pass the budgets and be out of Montgomery by the end of March and home campaigning by April Fools’ Day. In his address to the nation the day after the massacre at Marjory Stoneman Douglas High School in Parkland, Florida, that killed 17 students and teachers and injured another 14, President Donald Trump vowed to take action, stating that he would soon hold meetings with governors and attorneys general in which “making our schools and our children safer will be our top priority.” He continued, “It is not enough to simply take actions that make us feel like we are making a difference. We must actually make that difference.” However, the president’s actions have already spoken louder than these hollow words. Just two days before the shooting, his administration released its fiscal year 2019 budget, which proposed cutting funding to crucial programs that help prevent gun violence and ensure school safety. I understand the motivation behind the proposed Journalist Protection Act, which would make it a federal crime to attack those involved in reporting the news. The legislation comes at a time of particularly vocal attacks on news operations and individual reporters, many of which stem from the highest office in the land. I admire the goal — preventing or penalizing misguided thugs who would censor through violence. And I salute California Rep. Eric Swalwell for introducing it in an era in which support for journalism is at an all-time low. This week, the Trump administration released its proposed budget for funding the federal government in 2019. With extensive cuts to health care, schools, scientific research, and nutrition assistance, Americans across the country would suffer under this proposal. However, there are some clear winners who would benefit from the Trump budget, particularly, the fossil fuel industry. After receiving billions in tax cuts at the end of last year, oil and gas companies can expect another year of record-breaking profits. While Exxon alone received $5.9 billion in tax breaks, companies that do oil exploration can expect an additional $190 billion in profits. And Wednesday, the second-largest coal company in the country, Arch Coal, announced the new tax plan would lower their tax rate to “effectively zero.” To pay for these giveaways, the Trump budget proposes cutting several programs that enforce pollution laws, fund clean energy innovation, and protect outdoor places. Trump’s cuts effectively subsidize oil, gas, and coal companies, severely hamper renewable energy growth, all while weakening protections for public health and the outdoors. Jacob G. Hornberger: Why do anti-immigrants favor protectionism? Okay, I get it: President Trump and his acolytes favor immigration controls because they don’t want people from s***hole countries coming into the United States. What doesn’t makes any sense is why they also favor tariffs, sanctions, embargoes, and other trade restrictions against those s***h countries. After all, by increasing economic misery in those countries, such measures only encourage more people from those countries to come to the United States, the exact opposite of what anti-immigrants want. As President Donald Trump dreams of a military parade in the streets of the nation’s capital and dishes out enormous tax breaks to billionaires, he continues to hobble American diplomacy and international development to an unprecedented degree. The budget released this week, while thin on details, calls for devastating cuts of more than 30 percent to diplomacy and development programs from the levels enacted in 2017. These cuts, if adopted, would leave America less equipped to tackle conflict, pandemic disease, and extremism before they reach the nation’s shores; ill-prepared to champion American exports overseas; and more likely to end up in military conflict. It will also cause untold suffering for millions of people—particularly the most vulnerable women and children across the developing world. Among the U.S. government’s worst nightmares is the participation of North Korean athletes in the Winter Olympics, which are being held in South Korea. That’s because Americans might get to know some of the North Koreans, who might just come across as regular people, perhaps even likable. That’s not a good thing for a regime that has been committed to regime change for almost 80 years. Given the brutal sanctions that the U.S. government enforces against North Korea and given the distinct possibility that U.S. officials could still initiate a surprise military attack on North Korea or provoke an attack, the last thing U.S. officials want is for the American people to personalize any North Korean citizen. I have written about the legendary capitol reporters who use to cover Goat Hill. There was Bob Ingram of the Montgomery Advertiser, Al Fox of the Birmingham News, Hugh Sparrow of the Birmingham News, Rex Thomas of the Associated Press, Don Martin of UPI and Clarke Stallworth of the Birmingham Post Herald. A young cub reporter named Jim Bennett joined the Post Herald in 1961 and later had a distinguished career in public service. None of these legends is any longer with us. Today’s capitol press corps also works hard, they stick with “just the facts” through conscientious research of their stories, and leave out the speculations, “what-ifs”, opinion and political slants. 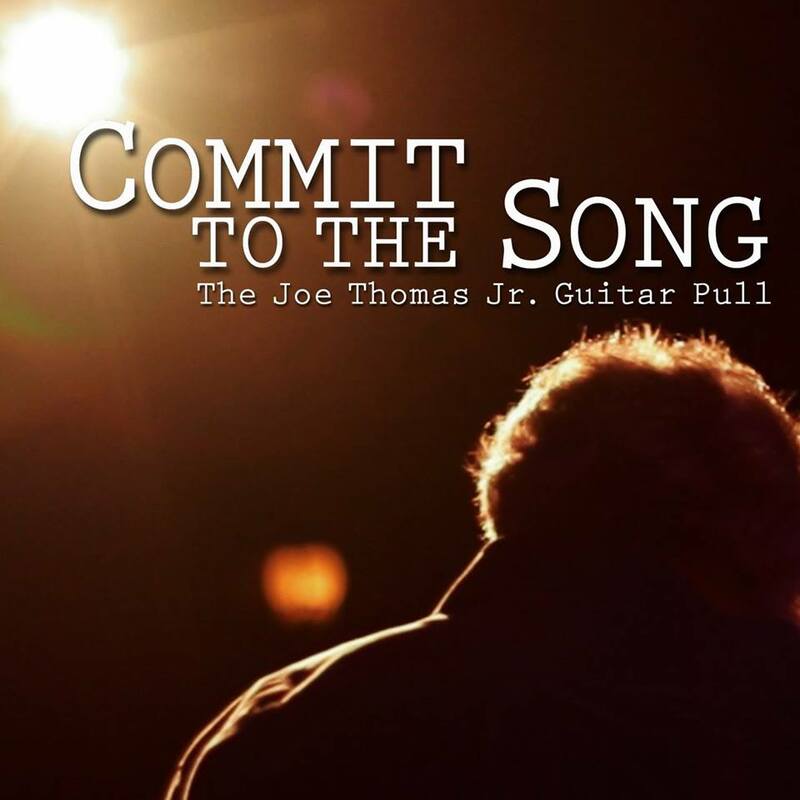 The documentary "Commit to the Song: The Joe Thomas Jr. 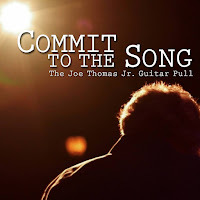 Guitar Pull" will have a hometown screening on Tuesday, Feb. 20 at the Capri Theatre. The screening begins at 5:30 p.m. General admission is $10 or $8 for Capri members. Immediately after the screening, a reception will be held at the Cloverdale Playhouse. “Despite deaths and amputation, original music continues to flow from a little community theater in the heart of the South” reads the film’s synopsis - the “little community theater” being the Cloverdale Playhouse in Montgomery. The Joe Thomas Jr. Guitar Pull is a regular songwriters event at the theater and will soon enter its seventh year. “Crumbs”. That’s how House Minority Leader Nancy Pelosi characterized the thousand-dollar bonuses and wage increases that companies are offering employees in the wake of federal tax reform. This description has, appropriately, come under attack. Walmart, Alabama’s largest employer, is spending around $400 million on employee bonuses. In fact, according to Americans for Tax Reform, over 3 million Americans will receive tax reform bonuses. These are not crumbs. When Jay met his foster parents, he was a balding, underweight boy who was afraid he wouldn't be fed. The first-grader, an example of the more than 6,000 children who end up in the custody of the Alabama Department of Human Resources, has a condition known as Reactive Attachment Disorder, which causes him to lash out when he makes an emotional attachment. No foster placement lasted six months – until he met Chelsey and Bailey Glassco. Eleven years is a long time to go without a pay raise. But for educators, state employees and retirees in Alabama, that’s how long it has been. And for retirees and many state employees, they have actually had their pay cut during those eleven years. You may be thinking that educators, state employees, and retirees had received raises in recent years, but that isn’t exactly true. Once again, the financial fears have been ratcheted up due to recent announcements by the U.S. Treasury Secretary, Steven Mnuchin, and the Congressional Budget Office (CBO) that by the middle of March 2018 the federal government will have run out of room to continue borrowing due to the official debt ceiling. Some are now calling for scrapping a legal debt ceiling altogether, and to allow Uncle Sam to have an unlimited line of credit. This is a bad idea. Back in September 2017, Congress and the President agreed to temporarily suspend the Federal debt ceiling until December 8, 2017. Whatever might be the cumulative outstanding debt at that time would become the new legal ceiling, unless Congress voted to raise it, which did not happen. So when December 8 rolled around, the total federal debt, due to continuing government borrowing in the last months of 2017, came to around $20.5 trillion. Black History Month. Black History. Black. Each phrase moves in its own power. Each word moves in its own power. There is plenty of power in Black history. That’s why Dr. Carter G. Woodson was so visionary when he started Black History Week way back in 1926. Black history is powerful. Some ask, “Why do we need a Black History Month”? The answer is easy: the history of Black people in America has been denied, diminished, destroyed, dismissed, etc. To counter that destruction, Black History Week was created for February of each year. It grew into Black History Month starting in 1976. February was chosen by Dr. Carter G. Woodson as the month to celebrate Black History because both Fredrick Douglas and Abraham Lincoln were born this month. Black history is powerful. Steve Flowers: Inside the Statehouse: Could the 2017 U.S. Senate Special Election be Alabama's last? A few weeks back my column illuminated the career and influence attained by our senior U.S. Senator Richard Shelby. In the column and in my book, “Six Decades of Alabama Political Stories,” I reference the fact that our current senior senator will be regarded as one of Alabama’s greatest U.S. Senators. I consider Lister Hill, John Sparkman, and Richard Shelby in that triumvirate. However, history more than likely will reveal that Shelby is eclipsing Hill and Sparkman in the annals of senatorial lore. It certainly was historic in October when Trump became the first sitting president to give the keynote address at an annual summit hosted by an anti-LGBT hate group, the Family Research Council. And it was historic when his attorney general, Jeff Sessions, issued religious freedom guidance eroding protections for LGBT people after he consulted with another anti-LGBT hate group, the Alliance Defending Freedom. And, we’re back! Taylor’s Top Five is back to fill you in on what you might have missed last week in Montgomery. Hope you enjoy, and let us know if you have any questions on the items discussed below. 1. The Senate approved harsher punishment for possessing fentanyl. For those who don’t know what we’re dealing with here, fentanyl, the synthetic cousin of heroin, is one of the driving forces behind the recent opioid crisis and a high number of opioid-related deaths. As reported by the CDC, fentanyl is one hundred times more potent than morphine. Under a bill passed unanimously by the Alabama Senate last week, anyone in possession of two or more grams of the deadly drug will face ten years in prison, with that sentence increasing to twenty-five years if the amount is over four grams. Now that the bill has been approved by the senate, it goes to the house. The ongoing public conversation about sexual harassment has led to a torrent of stories about individual experiences, regressive workplace cultures, and the robust reforms needed to help shift the balance of power between perpetrators and their targets. The #MeToo movement has moved from word of mouth to social media and across the world to build on a campaign launched more than a decade ago by activist Tarana Burke and to create solidarity among survivors of sexual harassment. The movement has catapulted the discussion about the persistence and prevalence of workplace sexual harassment into the headlines: Incidents involving prominent, high-profile figures in entertainment, the media, and politics have dominated the airwaves and spurred calls for decisive action. This month marks one year for Scott Pruitt as administrator of the U.S. Environmental Protection Agency (EPA). While Pruitt and his team have maintained that he is “solely focused on implementing President Donald Trump’s agenda to protect the environment,” his actions contradict these words. Jamey Vibbert had owned his car dealership in Dothan, Alabama, for over a decade when authorities seized $25,000 from one of his bank accounts. Tuesday night, President Donald Trump gave his first official State of the Union speech. The script was as expected: He bragged about his tax bill, repeated some promises about infrastructure, and promoted his administration’s latest wish list of anti-immigrant policies. He even claimed to be concerned for “America’s struggling workers.” But a lot was conspicuously absent from the speech—including all the ways his administration has harmed those very workers. When he was a candidate, Trump pledged to turn the Republican Party into a “worker’s party.” He claimed that each of his policy decisions would hinge on whether it creates “more jobs and better wages for Americans” and promised to side with workers instead of “special interests” and the “financial elite.” But throughout his first year, he sided with corporations and the wealthy instead.